If you are thinking about investing in a Toronto condo, you should think again. 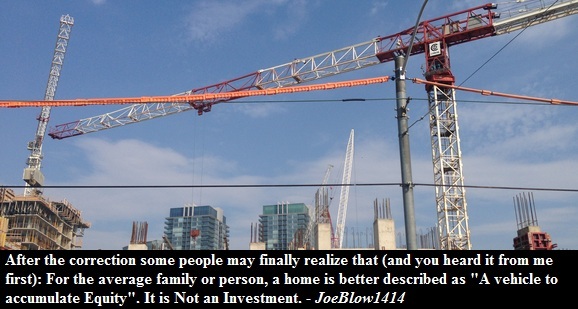 The condo market is like a stick of dynamite with the fuse already lit. If you buy now, chances are you wouldn't be able to make money before the whole thing goes Kaboom. And if you are thinking about becoming a landlord and renting your place out, you should grab a calculator and do some math or, if you're lazy, read on. Bond yields worldwide jumped in recent weeks as the Federal Reserve hinted its bond-buying program could soon begin to wind down. The Canadian bond market has not been immune to this force, with 5-year government bond yields up from 1.33 per cent five weeks ago to 1.84 per cent last week. Ten-year yields are up 80 basis points over the same short time span. (A basis point is 1/100th of a percentage point.) Posted mortgage rates in Canada have moved higher in lock-step, with the cheapest five-year fixed mortgage rate up 65 basis points over the same period, putting it back above 3 per cent. 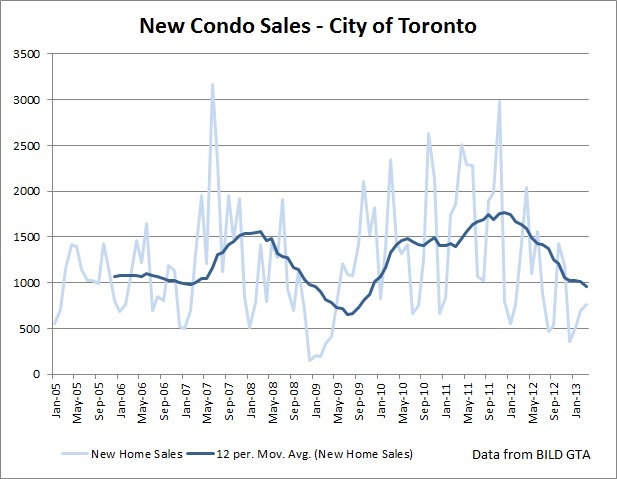 This puts significant pressure on Toronto condo investors. Yet a recent blog post on Urbanation, a website that tracks Toronto’s condo market, touted the invest-to-rent option – presumably because the previously popular invest-to-flip option is no longer profitable – noting that the average rent for a Toronto condo is now $1,856, handsomely up 10 per cent from two years ago. Note that rents did not really go up by 10% over the past two years. In reality rents went up just over 7% over the period of two years. Based on the average condo sale price of about $330,000, this appears to be a healthy rental yield of 6.7 per cent – on the surface, it’s a tidy sum compared to the low-risk option of parking money in a “return-free” savings account at a chartered bank. What the report failed to mention, however, were the carrying costs. So, here are the sober math facts of the net rental yield. Interestingly, banks do not charge a premium for an investment-property mortgage (under a puzzling assumption that there is no added default risk to investment properties versus owner-occupied purchases) so the posted rates apply to an investor. Based on a 3.05 per cent mortgage rate, a five-year fixed mortgage with 20 per cent down-payment and 25-year amortization period requires a payment of $1,265 per month or $15,187 a year on an average condo, a 7-per-cent increase from just one month ago. Monthly maintenance, including utilities, will set the investor back conservatively $4,000 per year on a one-bedroom downtown condo. Take another $2,600 per month off for real estate and income taxes. All that is left is $535 per year, for a net rental yield of 0.16 per cent. And a repair or a paint job could wipe out that profit in a flash. The question becomes, why would an investor take on the risk of owning a condo for virtually no annual return? The answer: They are not. 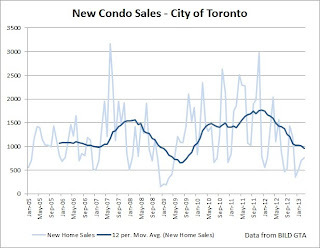 Even before rates began to spike in May, Toronto condo sales were flagging, with sales down a whopping 55 per cent in the first quarter of 2013 versus a year ago. Diminished affordability was no doubt a contributor to the sales slump as the market felt the pinch from the new regulations requiring a shortened amortization period – the equivalent of a 100-basis-point increase in the five-year mortgage rate. However, potential buyers are also worried about a price correction. Price gains in the condo market were a skimpy 1.2 per cent in May, which is a far cry from the 10-per-cent-plus returns investors had come to expect before the federal government’s mortgage crackdown. Double-digit returns made condo purchases worth the risk; 1 per cent annual returns, not so much.